Emma has had an influential career spanning over a decade. 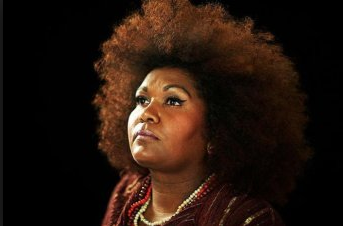 She has been a featured vocalist on over 20 studio albums for artists including Archie Roach, Paul Kelly, The Black Arm Band, Felix Riebl (The Cat Empire), Briggs and Tim Rogers (You Am I ). Emma Donovan has recorded 3 studio albums: Origins (2001), Changes (2004) and Dawn (2014). She has featured on 5 music documentaries, including Murundak – Songs of Freedom (2011) and Dynasties – The Donovans (2015). Her 2014 studio album Dawn, a collaboration with The Putbacks, received a 4 star review from Rolling Stone Magazine Australia and she went onto receive the 2014 Sidney Myer Fund Fellowship. The creative team behind Dawn were nominated for and received several community and national accolades, including the National Indigenous Music Awards (2015), The Age Music Awards (2015) and The Double J Awards (2015). More recently, Emma, alongside Katie Noonan, performed at the 2018 Closing Ceremony of the Commonwealth Games on the Gold Coast.